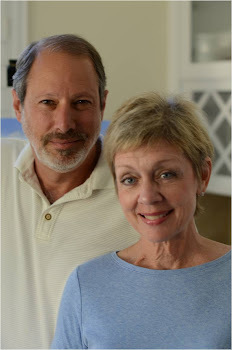 Elaine's Journey: Is Genomic Medicine Clinically Useful Yet? 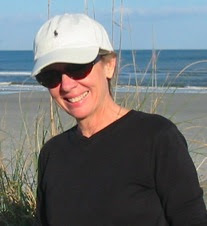 The news of my wife Elaine’s primary peritoneal cancer 27 months ago began a fevered effort to learn all we could about her disease and our options. Peritoneal cancer, which is close in form and behavior to ovarian, is rooted in the abdominal lining. “Gold standard” treatments notwithstanding, the prognosis isn’t good. After a 12-36 month remission in which tumors are inactive, the disease generally returns, and a high percentage of women are gone within 5 years of diagnosis. Cancer elicits a primal fear that can provoke fantasy and baseless speculation. Cancer patients in remission have told us they are cured. Others, well-meaning, have announced they know someone with “exactly what you have,” and that theirs went away by applying a strict dietary or spiritual discipline. But the science is clear that cancer is really many diseases, with hundreds or thousands of different configurations influenced by heredity and environment. It presents massive complexity that likely isn’t susceptible to silver bullets. This fact is underscored by the wildly variable efficacy of current therapies, both in different forms of cancer and between patients with the “same” cancer. Diagnosed with thyroid cancer, your chances are great. Pancreatic, not so much. Or not. Uncertainty rules. So with molecular profiling, we stand at the leading edge of a hugely promising, alternative paradigm. Activity is mushrooming, uncovering possibilities at an exponential rate. Several months ago Elaine and I became early adopters of this new technology – we’ve been working with the wonderful team at N-of-One in Boston – in an attempt to uncover more granular information about the structure of her cancer. Even so, some friends and colleagues – people we respect – have been skeptical of our pursuit. This approach asks pointed questions. 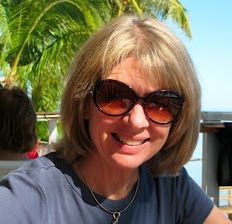 What genomic structure characterizes Elaine’s illness? Does she have gene mutations and protein expression patterns that, if revealed, could provide opportunities for existing treatments that haven’t been considered to date? Equally important, are there aspects of conventional treatment that are wasted because she isn’t structurally susceptible to their mechanisms? Avoiding those could save Elaine from the ravages that typically accompany chemotherapies, not to mention immense costs. For example – and this is a dramatically over-simplified explanation – Elaine’s estrogen receptors (ER) are intensely over-expressed, which can activate tumor cells in breast, ovarian and other cancers. 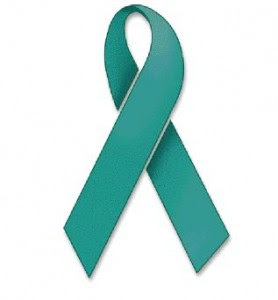 (ER is found in about 70% of ovarian cancers.) This suggests that her cancer may respond to targeted drug therapies like those that have been effective for many breast cancer patients – tamoxifen, for example. On the other hand, she was not positive for amplification of HER2, a gene that is also often associated with female cancers. This is good news and eliminates the notion that treatments aimed at HER2 mutations could be beneficial. The analysis also found high levels of the pAkt and eIF-4E expressions. These proteins are part of the PI3K/AKT/mTOR signaling pathway, and excessive activity in this pathway occurs in both breast and ovarian cancers. (It has been seen in two-thirds of ovarian cancers.) They’re involved in tumor formation, proliferation and maintenance, and they inhibit programmed cell death. A number of drug therapies are currently in trials, but none are specific for ovarian. There were also “minor” findings, but it is difficult to accurately assess their influence or real importance. Taken together, the analysis supports a vision of cancer that is a multi-headed, shape-shifting beast. Cutting off several heads simultaneously is probably required to meaningfully knock it back. Science has made solid inroads into beneficial approaches, but it appears too early to confidently know the combinations of major and minor treatments that can reliably work for any given situation. We’ve had the great fortune to work with open-minded, evidence-based physicians – our gynecologic oncologist, Steve Buckley, and primary care physician, Rick Glock - who have been involved in and supportive of this process and of shared decision-making. They and we acutely appreciate the pervasive uncertainty that others have seized on. But what are our alternatives? If conventional treatments produced predictably better outcomes, then we’d gladly play it safe. And the discipline of genomics is evolving incredibly rapidly. In the months that it took us to commit to the molecular profile, the number of assays available for Elaine’s analysis tripled. Even if there are no treatments for specific findings now, having more detailed information offers the chance that new options will open while we’re still in the fight. Non-genomic biologic agents have recently become available for treatment of angiogenesis (tumor vessel growth) and inflammation. Ultimately, though, we’ll undoubtedly get beyond trying and hoping in genomics. Cell-based assays will accurately predict whether certain drugs can arrest cancers. A deeper understanding of complex metabolic dynamics will almost certainly result in a more unified theory of disease that, in turn, will disrupt traditional notions of specialties. For example, primary care physicians might become well versed in genomic mechanisms, and the specialties may organically reconfigure as our understanding and management of disease becomes more holistic. Elaine and I don’t know whether clinical genomics will give us the actionable pathways – the escape hatches – we seek. The science and technologies are still in their infancy, and so are accompanied by all the pitfalls and inadequacies of any emerging applied discipline. The question for physicians and patients – and especially those involved in a serious struggle – is whether the new paradigm ultimately offers better chances now than the legacy one. For us, that isn’t a hard question. We prefer to know as much as possible about our enemy. Deep thanks to Dov Michaeli, MD, PhD and Sheryl Elkin, PhD for their critical review of this article for scientific accuracy.